Not every solution is a bike lane. 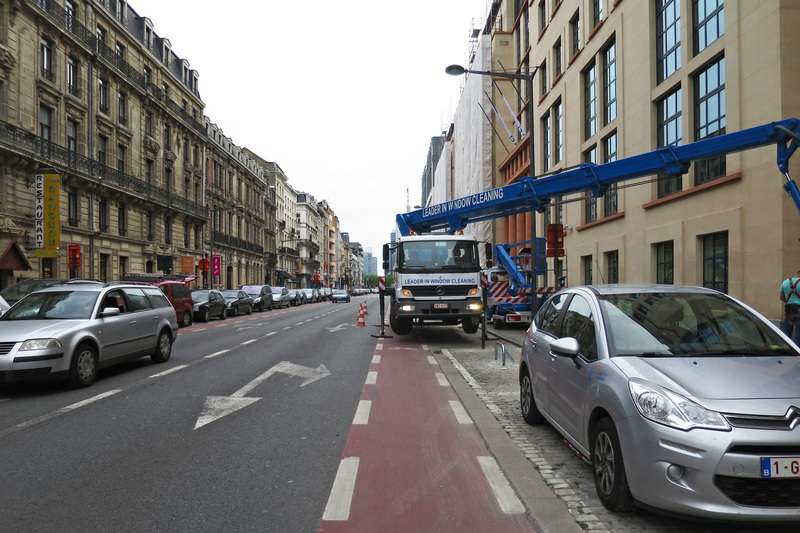 Here you will see the best pictures around bikes and bike lanes, in Brussels, or where else good stuff happens. Together with many others I am convinced that bikes are not simply another means of transportation, but another concept way of thinking movement in cities (and beyond). Bikes are flexible and multifunctional tools that stand for a self-responsible and collective awareness of bodies in time and space. Bikes are a contemporary solution. Since many cities are -like Brussels – new to this bike thing (and since I believe from the bottom of my heart that bikes are good), I want to celebrate the period of transition with this collection. Pingback: Bruxelles, enfin vélorutionnaire ?